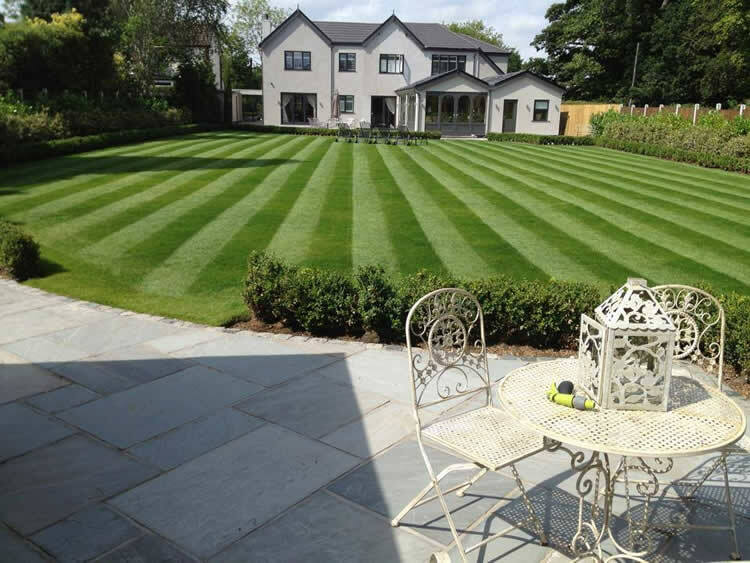 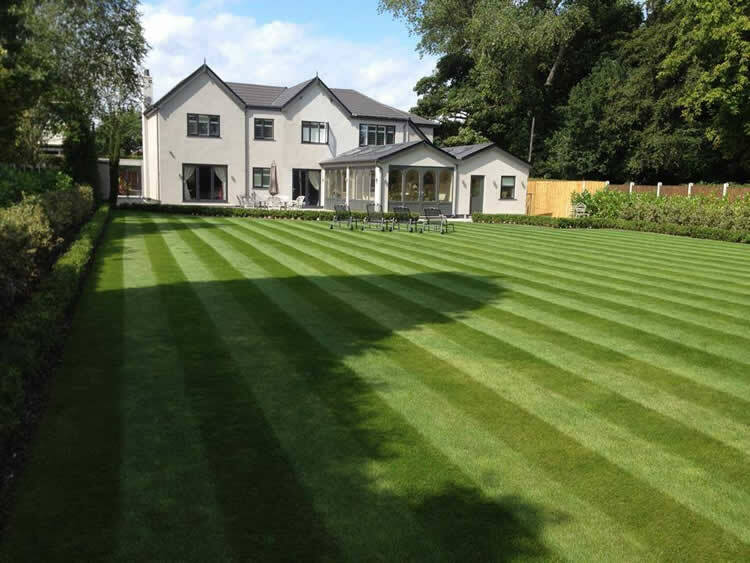 This was an extremely challenging job to undertake, the client wanted a level lawn from left to right across the garden, but the site had a cross fall from one side to the other of about 900 mm. 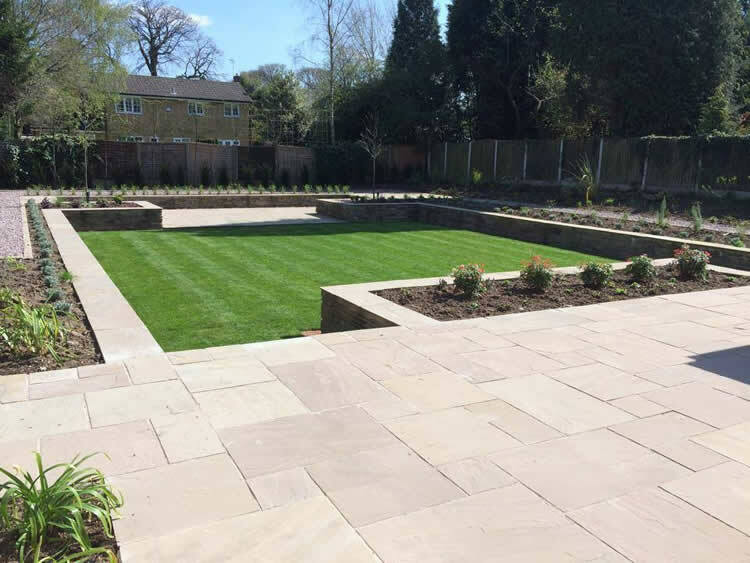 This meant building a retaining wall down one side of the garden to retain the earth, but as the lower part of the garden was a boggy marsh area, a concrete pad had to be constructed on 14 piles to ensure the foundations were stable enough to hold the wall. 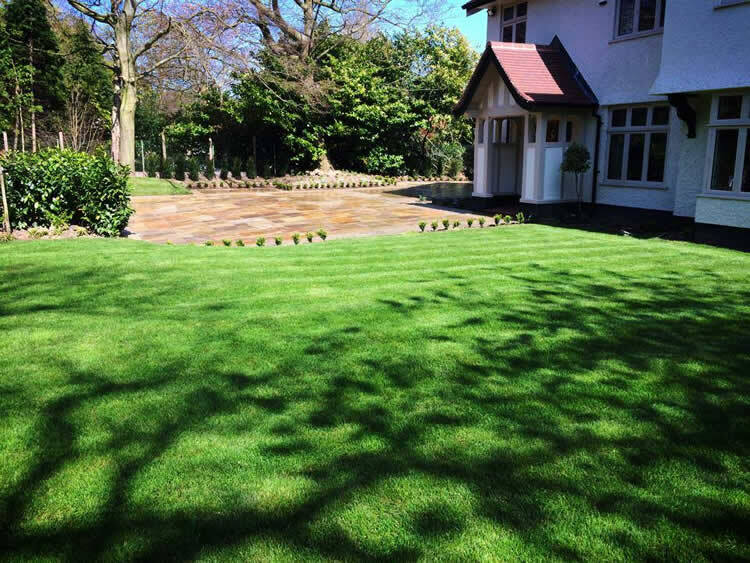 This was a traditional design that is in keeping with the surrounding area and the property itself. 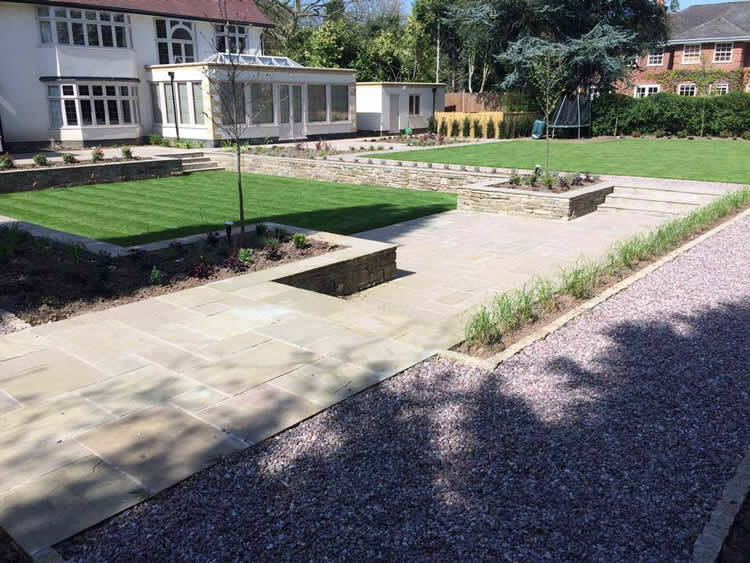 It had a sunken Lawn area, constructed from a mortared stone wall. 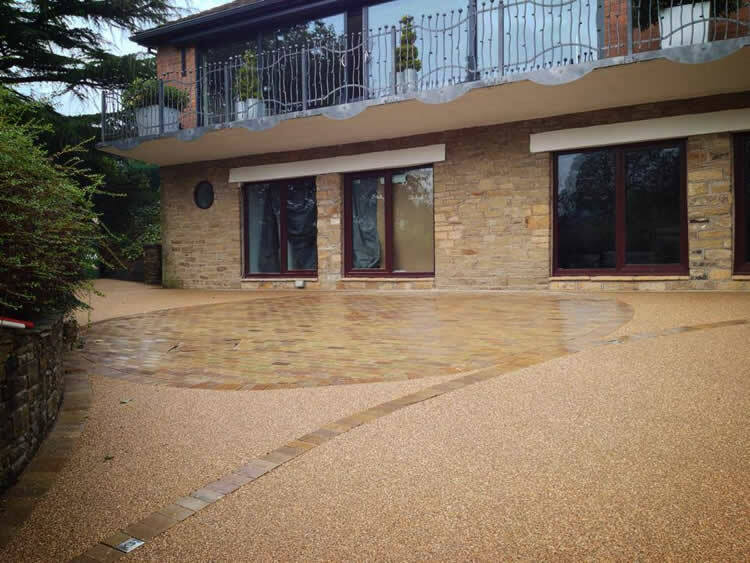 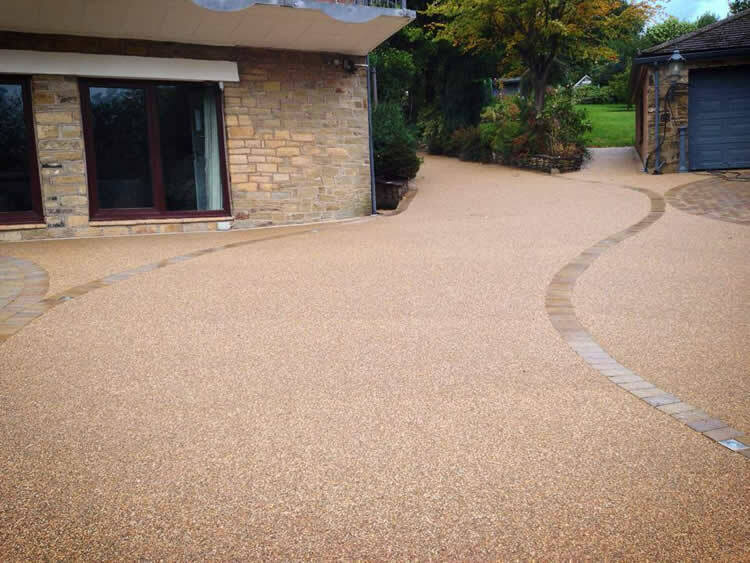 This was a modern front driveway that incorporated a number of elements, the front driveway was constructed from Marshall’s Argent Block paving with Resin bound aggregate. 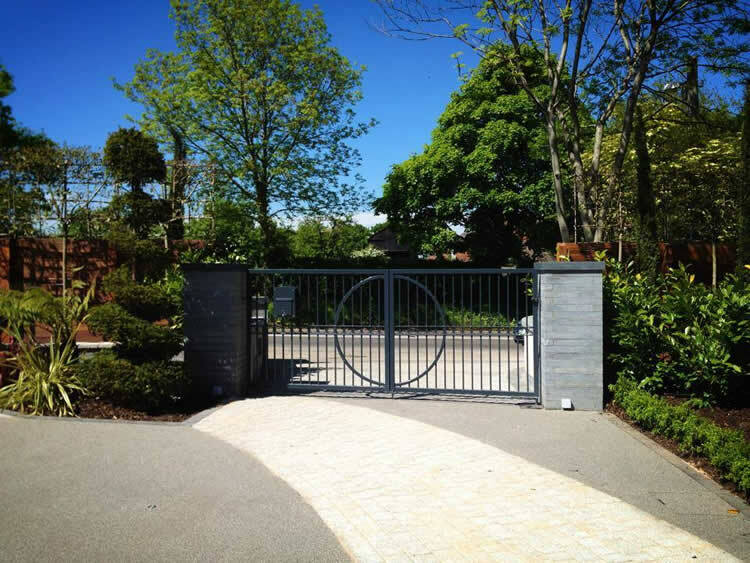 Argent walling was used to create the raised planters, the granite pillars and threshold were made to measure on site, the pillar caps were cut and polished to fit. 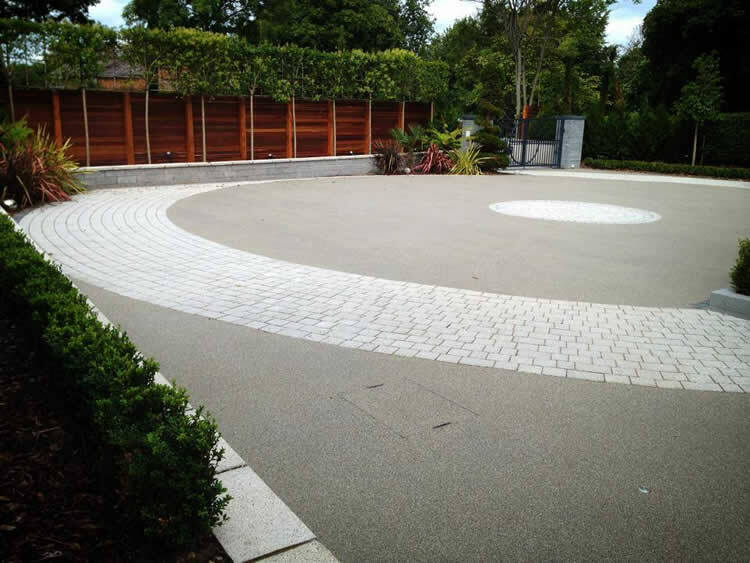 Due to the unusual shape of the site and access having to be gained from the lower to the upper area of the driveway, I decided to incorporate circles within the design of the driveway. 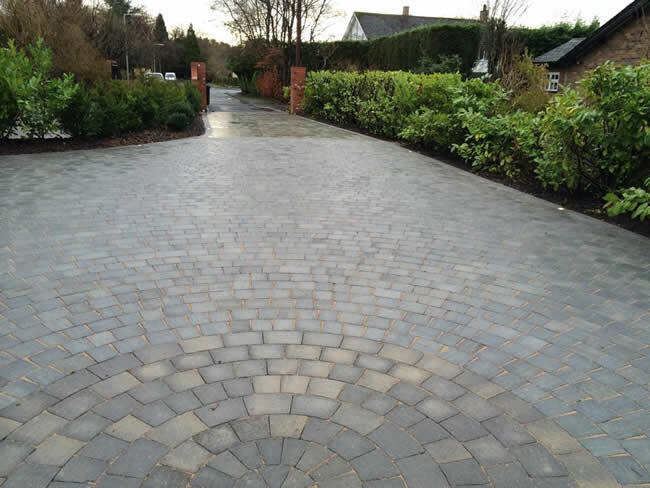 This consisted of two small circles constructed from Marshalls Fairstone Block Paving and a large landing area of block at the top of the driveway. 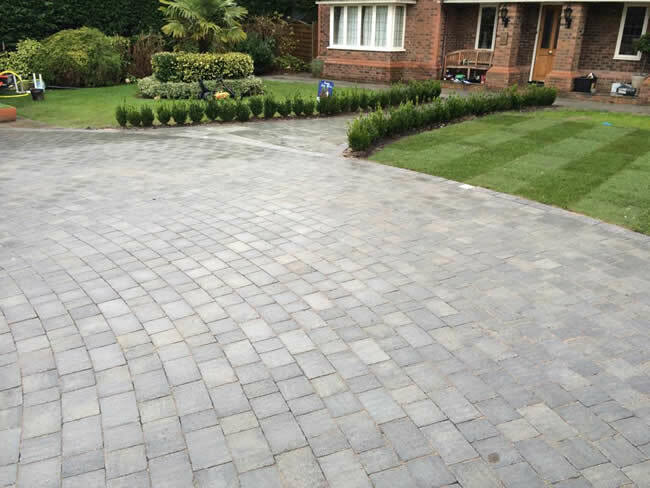 Driveway constructed from Indian Stone and Edged with 7 rows of granite sets, new front lawn area created and driveway is framed with a box hedging plant. 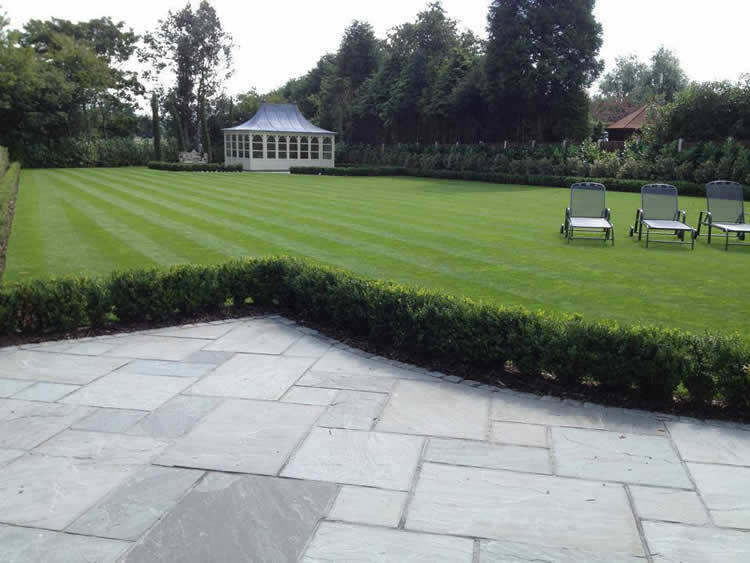 Stone wall and pillars were constructed at the front of the property and the whole design has a very traditional theme. 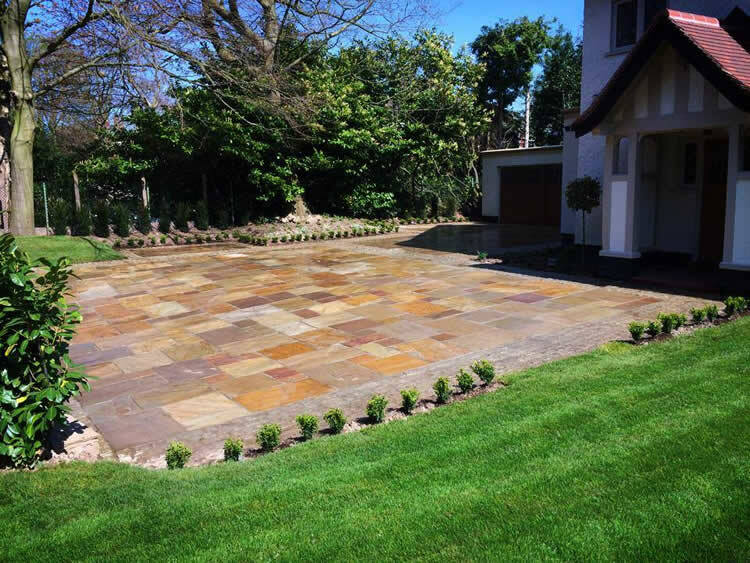 We used a modern method to point he paving up using a rapid cement slurry point system, which ensures any voids under the flag stones are filled, reducing the chance of any rocking flag stones in the future.